Aline Nizigama is currently Manager of Language and Accessible Services at the Workplace Safety and Insurance Board. She has previously held Senior Policy Advisor's roles in the in Ontario Public Service at the Ontario Ministry of Health and Long-Term Care and at the Ministry of Francophone Affairs. She also has an extensive experience in services for women having held the role of Manager of Programs and Projects at YWCA Canada for a number of years. Aline has a Master’s degree in Public Policy, and an Honours Bachelor's degree in Health Policy, with a focus on the social determinants of health. She is also the President of Toronto-based Haguruka Burundian Women’s Association working to tackle women's poverty in East Africa through micro credits. Aline was induced to 2016 Wall of Role Models by the Diversity Advancement Network, among 100 women honoured on July 24th, 2016 as part of the annual Black Canadian Awards (Diversity Advancement Network), a celebration of success and inspirational stories of Black Canadian community builders and outstanding achievers. Margaret Martin has a vast range of experience and understands that to achieve the desired outcomes; project management is key. She is Vice President, General Manager at Enterprise, a leading Canadian public affairs firm with expertise in government relations, digital and public relations. Margaret joined Enterprise after more than a decade in Ontario politics, where she developed an in-depth understanding of how political parties and governments operate. She worked at Queen's Park from 1986 to 1998, including serving as special assistant and MPP liaison to Ontario's Minister of Municipal Affairs and Housing. Margaret has been on the inside of many Enterprise campaigns. She is the former chair at Polycultural Immigrant and Community Services and presently is Secretary of the Board of the Adam Mickiewicz Foundation. Tricia Edgar has been a board member at Margaret’s since 2010. She recently received her Juris Doctorate from the University of Ottawa's Common Law Faculty and is preparing to write her Bar exams this fall. Tricia has several years’ experience in policy development and communications, working in both government and the NGO sectors. She served as Legislative Assistant and Director of Communications to two provincial cabinet ministers and in policy development for Amnesty International Canada. Tricia brings additional experience working in the social service sector with a focus on mental health and high-risk populations, particularly women and youth involved in the criminal justice system. 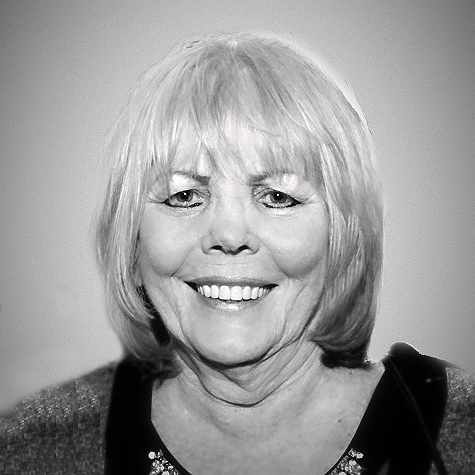 Ania Ksiazynka joined Margaret’s Board in 2013. As a Treasurer, she oversees all aspects of Margaret’s finances, including the development of budgets, preparation of financial statements and reporting to Margaret’s board and the stakeholders. Ania brings to Margaret’s financial and risk management experience in the private and public sectors, with a focus on finances and developing procedures to improve performance and productivity. Ania has volunteered as Assistant Treasurer at Canrise Non-Profit Housing and is a Senior Manager at Deloitte Risk Advisory and Independence. She holds BComm (Hons) degree from Rotman School of Management at the University of Toronto and is a Certified Public Accountant (CPA). Ania is a recipient of Bronze Governor General Medal. Joanne Short is a seasoned retired Social Worker with extensive experience from the Centre for Addiction and Mental Health (CAMH). She holds a Certificate of Distinction in Health Administration from the Ontario Health Association (OHA), a Human Services Diploma of Excellence from George Brown Community College, a Certificate in Business Administration from Ryerson University, and a Certificate in Teaching from London Teachers' College. Joanne also holds a Bachelor of Social Work degree and a Masters of Social Work. Joanne maintains current member registration with the College of Social Workers of Ontario. A veteran communications professional and thought leader with a passion for research, an appetite for complex and innovative ideas and a drive for results. Cameron teaches leadership and teamwork in the PR program at Humber College and is certified to train emotional intelligence and engagement for corporate and not for profit outcomes.Expertise includes development and management of brand messaging, development and distribution of written press materials, film screenings, media and celebrity outreach, event design and execution and social media marketing. With 30 years of varied investment banking, industrial marketing and general management experience including not for profit, Don has a Master's Degree in Business, and tremendous expertise in relationship-based investment banking, lending, mergers and acquisitions, project management and justification, marketing management, and joint ventures. He brings excellent negotiation, oral and written communication skills. For over a decade Jeri has represented an exclusive roster of prominent retailers, assisting them with real estate strategies, analyzing research and demographics, providing expert recommendations and conducting negotiations, on their behalf. She previously worked for some of Canada’s foremost landlords and third-party service providers, successfully directing office, industrial and retail leasing, property management, acquisitions/dispositions and asset management divisions throughout North America and served on the Executive Board of BOMA (Toronto). Jeri joined Margaret’s Board in March 2017. An accomplished senior executive and transformational leader who was responsible for the creation and implementation of a diversity and inclusion strategy for both the Ontario Public Service (OPS) and the broader public-sector agencies of the Ministry of the Attorney General. Specialized in inclusive organizational change strategies and processes within complex national and international organizations. Extensive national and international speaking experience on issues of social inclusion and human capital strategies including; the EU, the State Department, Washington and the continents of Africa and Asia. An experienced broadcaster, who reported, anchored and hosted news and current affairs programs for the Canadian Broadcasting Corporation (CBC), CTV NewsNet and Vision television. Noelle holds a BA in Sociology from University of Windsor. She concurrently sits on the Toronto Symphony Orchestra's Board of Directors. In December of 2004, Diane Walter became the first Executive Director of Margaret’s Housing and Community Support Services (then known as Margaret Frazer House). Diane has more than 25 years experience in direct service, administration, management, development and implementation of health and social service programs with and for homeless, mental illness, victims of violence, immigrant, and substance using populations. She holds a Masters in International Health Leadership from McGill University and B.A. in Sociology from the University of Windsor, she is a certified Mental Health First Aider. She is active in community service, serving on various boards. She can be found puttering in her garden as soon as the ground thaws.